Health Care Professionals use TapRooT® Root Cause Analysis to improve patient safety. TapRooT® saves lives by helping your healthcare team improve tomorrow's outcomes by providing comprehensive training and tools for incident investigation, root cause analysis, and effective corrective action implementation. Patient safety and infection control are not optional. If the quality of patient care is your concern, you need to consider advanced root cause analysis – TapRooT® – to improve patient safety. Some approaches to root cause analysis have left health care professionals dissatisfied. Advanced root cause analysis – TapRooT® – has been applied by industry leading health care organizations to improve patient safety. Find out how they learned to improve performance by attending TapRooT® Training. Accreditation reviews and incident reporting requirements. Preventing staff injuries and needle sticks. Facility maintenance issues that cause expensive downtime. TapRooT® is your Quality Assurance and Process Improvement tool. TapRooT® reporting is accepted by the Joint Commission. Web based software leads teams through the TapRooT® process and makes data trending and sharing easier. We proactively improved medication administration by combining TapRooT® with FMEA. Our efforts led to concrete ideas that were implemented to improve patient care. New patient safety book set helps stop repeat incidents! 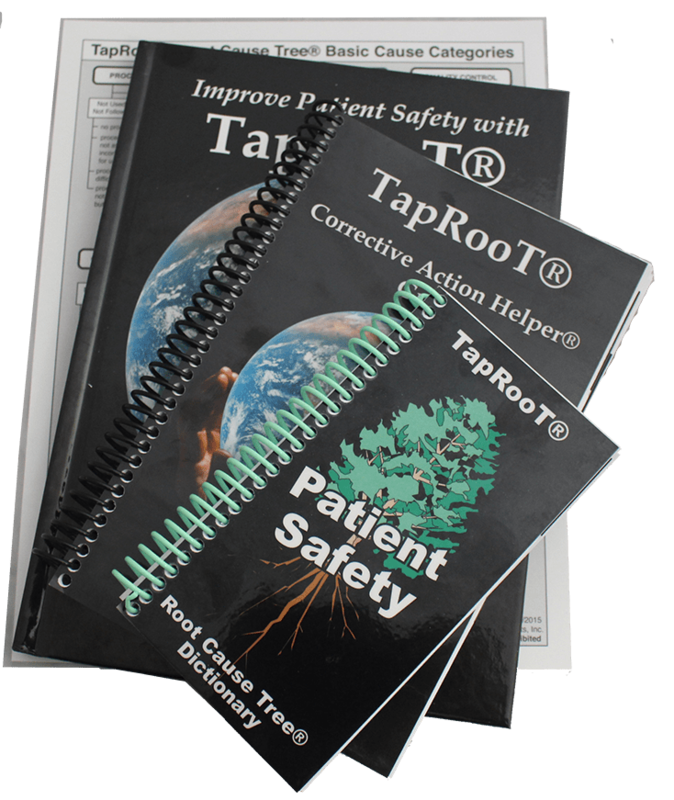 The NEW TapRooT® Patient Safety Book Set is available for purchase in our online store. Authored by Ken Turnbull and Mark Paradies, the book provides healthcare professionals with knowledge of advance root cause analysis: the TapRooT® System. TapRooT® Root Cause Analysis can be used to reactively investigate and prevent repeat sentinel events or proactively to improve performance by finding and fixing a problem’s root causes before a medical error occurs. 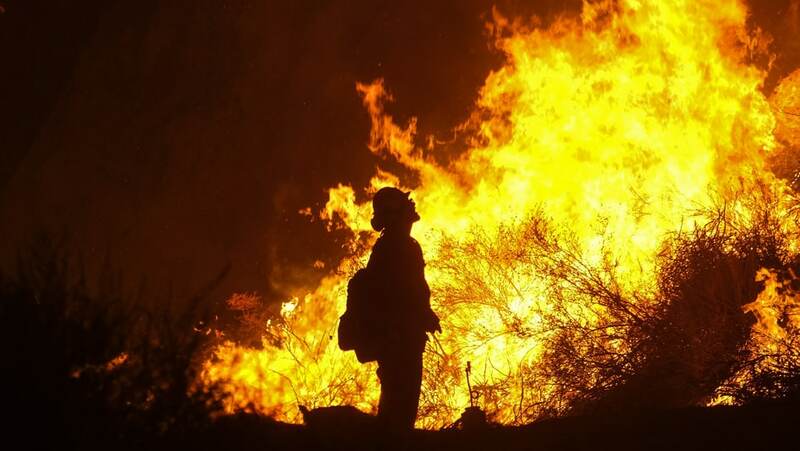 Ken Turnbull started his career in fire safety, engineering, industrial safety, and process safety in the chemical and oil industry. After retiring as Corporate Safety Manager for Texaco (where he had used TapRooT®), Ken became a TapRooT® Instructor. Since then, he has helped people around the world improve their root cause analysis and stop repeat problems, including training over 500 healthcare professionals to use TapRooT® to stop patient safety events. His wife is a retired nurse practitioner, and his sister is an emergency medical physician – relationships which helped drive his interest in patient safety. Mark Paradies has 38 years of experience in high reliability organizations, process safety, incident investigation, and root cause analysis. His career started as a leader in Admiral Rickover’s Nuclear Navy (where he earned Engineer Qualification). He also worked for DuPont in the areas of human factors, process safety, and performance improvement management before he started System Improvements. In 1993, after his mother suffered from a sentinel event, he started System Improvements’ efforts to improve patient safety. Learn more or buy the set here. 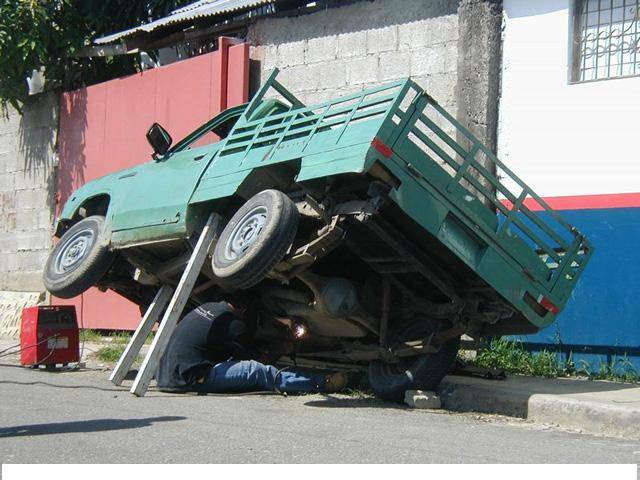 Root Cause Analysis is a critical part of your management system. 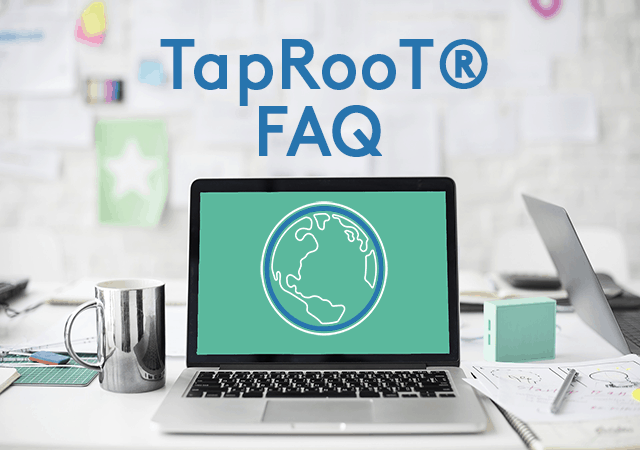 TapRooT® was built (and is continuously improved) to help your facility meet the ever increasing demands for improved patient safety, infection control, efficiency, regulatory compliance, patient satisfaction, and employee safety. See how we can help you meet these challenges. The TapRooT® System enables professionals across a variety of occupations to become better at solving problems within their organization. Find out how TapRooT can be a helpful tool in your career. Improve process performance, minimize errors and stop customer complaints and regulatory issues by using the TapRooT system.